February 22, 2018 - Comments Off on Notifications soon! We will be sending notifications about your submission status within the next 2 weeks. We are sorry for the delay! 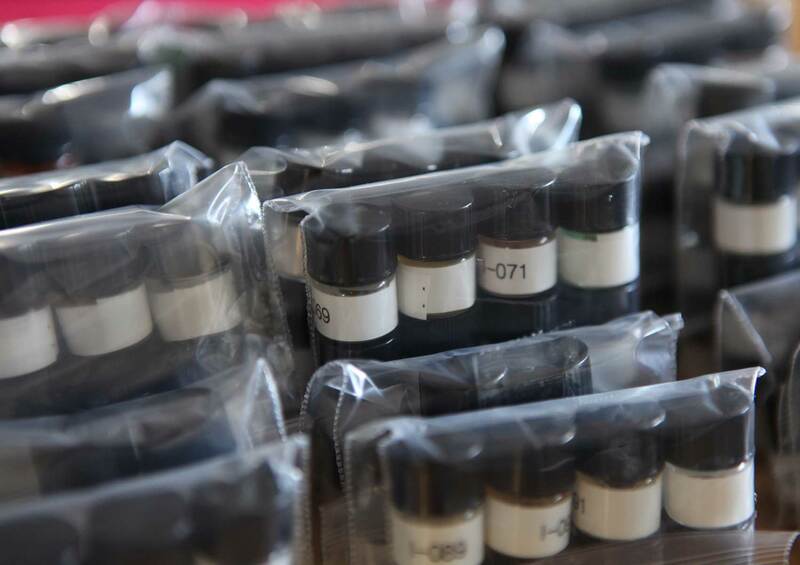 Coordinating the vials and the timeline for 30 judges was no small task, this year. But: We're almost there! 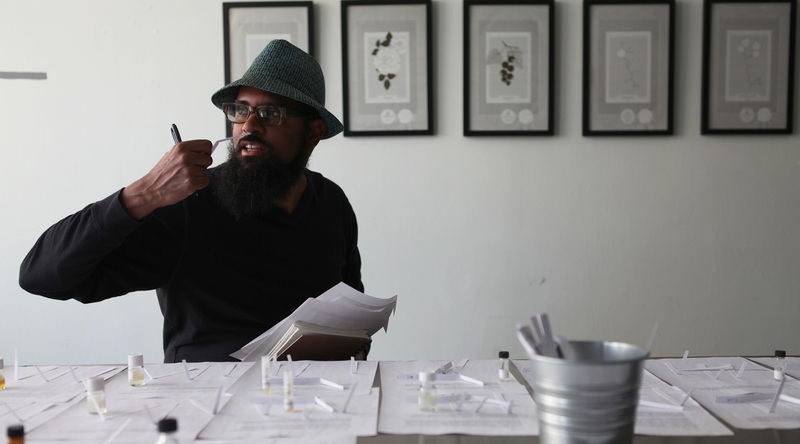 Judging the Art and Olfaction Awards is the most important part to get right. Without a healthy judging mechanism, our efforts would be pointless. Here's a run-down on how we judge, and why! Well, it's that time of the year again, when we get to un-box and decant hundreds of perfumes from around the world. 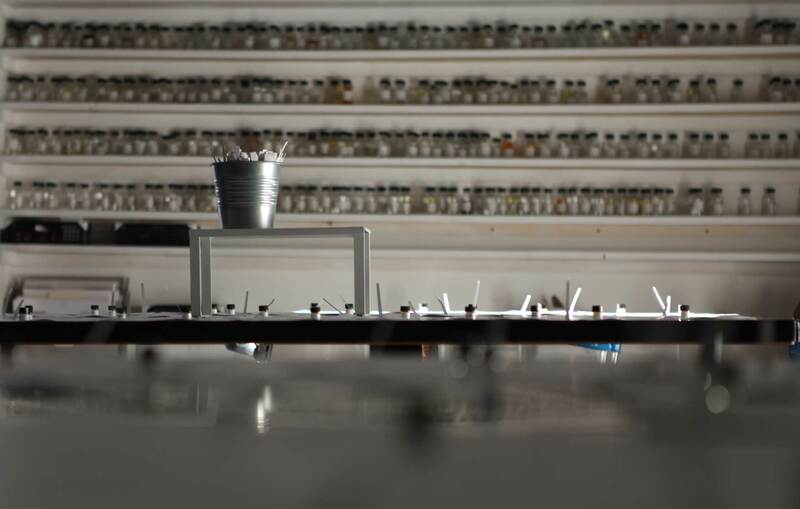 We're not into hyperbole and/or poetics, but humour us for a quick second while we state something from the heart: The entire Art and Olfaction Awards team (aka Minetta, Kendra, Maxwell, Julianne, Jeff, Micah and Saskia) feels so honored to be able to process all these wonderful perfumes and projects. With that, we wanted to take a moment to explain what happens when your submission arrives in the mail. 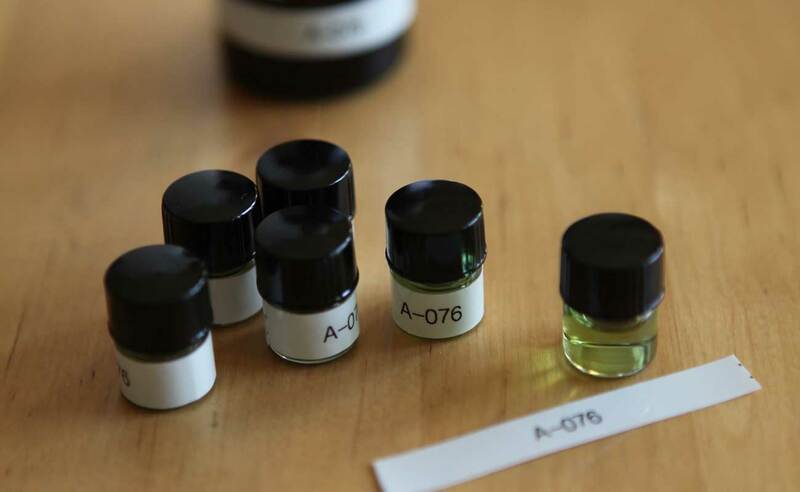 We're a few weeks away from the 4th annual Art and Olfaction Awards, and now feels like a great time to post about one challenge we face as an organization: The fairness of our judging process. In a perfect world, we would identify and persuade 28 people who both have excellent noses AND zero existing relationships in the industry to spend months of their time assessing the submissions for nothing more than an enthusiastic thank you. However, our world is not quite perfect, and people who understand perfume tend to... well... work in the perfume industry. In other words, pre-existing relationships are a given: There is no reasonable way to avoid them, short of coralling a pack of robots to evaluate the submissions (and even that might create some issues along the way). We are, however, very aware of a relationship's potential to bias the awards. Although every mechanism has potential flaws (and every year brings us a new exception to what we thought was a hard rule), we do our very, very best to make the awards as fair as possible. Here's how! Cliché: A picture is worth a thousand words. Truth: It's devilishly difficult to describe a process or an experience in cold prose (not to mention the fact that it would make for a dreadfully boring read). We'll rely on the visual. What follows are a few snapshots from some of the judging sessions that have taken place at the IAO, so far. These are still early days: We'll be in the process of judging the submissions for the next few months. But we'll be sure to add updates - as they trickle in - here on our 'news' page. For the curious, what follows is a brief post about this year's new administrative challenges, and resulting changes to our judging process. The online submissions form has closed and here at the #AOAwards we're deep in the hard work of processing the physical submissions, as they come in. We thought that it would be a good time to write a post about exactly what happens when we receive your samples in the mail. January 31, 2015 - Comments Off on Preliminary Judging is Over! We're really happy to say that the preliminary judging for the Artisan and Independent Awards is - finally - finished. January 12, 2015 - Comments Off on The first day of judging is upon us. The first day of judging is upon us. We are so pleased to announce that after several months of processing submissions, we've finally started the judging process.